The new Norwood High School project replaced a historic high school building originally designed by Town architect William Upham and constructed in 1928. Although grossly outdated and in very poor condition, many Town residents had significant sentimental ties to the Greek revival style and details of the former 1928 building. Ai3 Architects was charged with designing a facility which represented modern 21st Century education, but also included subtle references to the details and style of the former 1928 building. 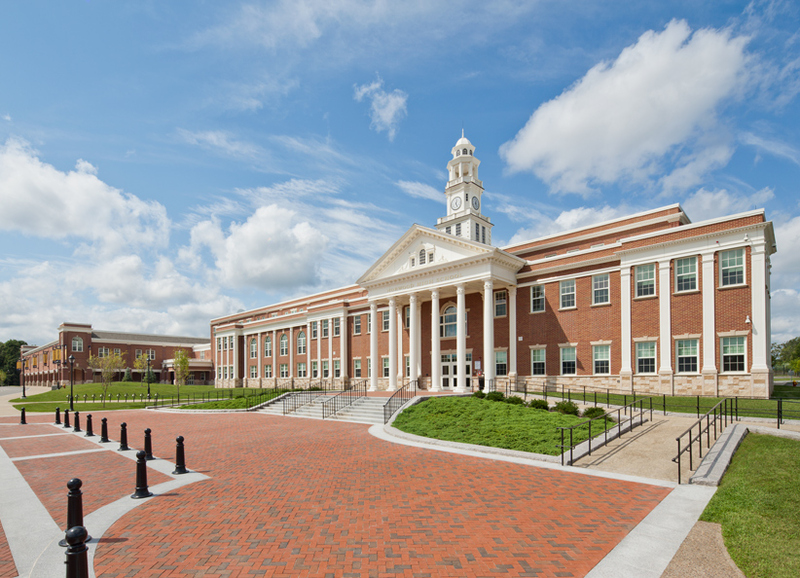 The final design solution replicates many elements of the former cupola clock tower, entry pediment artwork, coursed ashlar granite base, pediment columns, and façade pilasters; providing a traditional architectural style which was unanimously supported town-wide. Although the exterior of the new high school appears traditional, upon moving inside the building visitors are immersed into a progressive, high-tech, 21st century educational facility which represents the very best in educational, sustainable, and green design strategies; including LCD flat screen display monitors, facilitator learning stations, integrated whiteboards, photovoltaics, and a gray water collection system.